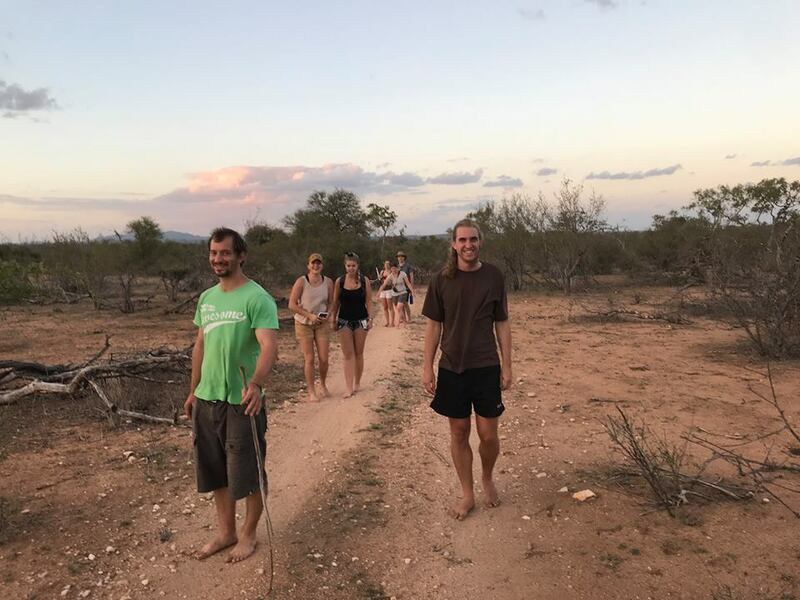 Hi, my name is Eduard and I am currently on a field guide training course that includes an overland trip across South Africa, 4 neighboring countries and the 9 natural biomes of Southern Africa. Our first day saw the welcoming arrival of the 6 other students joining me on this extraordinary expedition. When everyone was present we had a small introduction by our supreme matriarch and principal trainer Laetitia or Tish for short. She outlined the amazing programme ahead of us and shared some of the concepts that she wishes to instill within us as a prerequisite for any grounded, knowledgable and well-rounded nature guide. One of these was a no shoes policy for the first 3 days. This was met with nervous faces but she explained how it will help to physically and mentally bridge the gap between us and the natural environment from which we have become estranged. Her enthusiasm for nature is infectious and her relentless but wholistic approach to the study of natural systems inspires me and I’m sure the others every day. We ended the hot afternoon with our inaugural game of Volleyball surrounded by the bushveld. A game of intense agility and skill it was not, but it was very funny and a great opportunity to get to know everyone. The following week comprised of early morning bushwalks, lectures, more volleyball, assignments and even yoga. In the bush Tish has been transferring to us some of her extensive practical knowledge of the Lowveld eco system and in the classroom we have learned a lot about taxonomy, botany and mammals. We have successfully identified over 50 tree and 25 grass species and also realized that yoga can be more of a workout than expected. With our assessment in only a few weeks we have all been squinting hard at the countless tracks and signs in the bush trying to identify them but Tish is steadily giving us the tools with which to solve the complex sand puzzles and we are making great progress. On the last day of the week we had a relaxed Sunday lunch at a local restaurant on the banks of the Olifants river and whilst exploring the beautiful old train bridge were lucky enough to get permission to approach a herd of elephants crossing the river close by. The river setting was majestic and it was an intimate and memorable Ellie end to our first week. Personally I’m having a blast and the trip has not even begun!